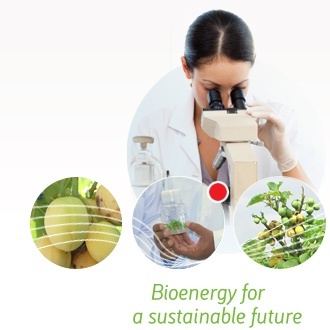 A new sustainable energy crop that has the potential to replace food crops as a source of biodiesel. The road to success in Jatropha is finally here! To ensure sustainability for future generations, JOil has set a noble vision of becoming a global energy crop and bio products company using plant sciences and processing technologies as its core strength to establish agricultural projects based on oilseed crops. JOil has pioneered Jatropha research and its agronomy, and will follow with other potential non-edible oilseed crops. With an immense potential to be grown on unused and under-utilized land (including marginal land), Jatropha is considered as a futuristic sustainable option for production of bio-based products for energy and non-energy applications. Through a systematic approach, JOil has developed the comprehensive plant science for Jatropha and thereby has addressed most of the challenges that the industry was facing. JOil’s research & development focusses on the breeding & development of elite varieties of Jatropha and the development of certain enabling technologies to breed & propagate the varieties for large-scale commercial cultivation. With the development of both breeding techniques and innovative enabling scientific techniques, we at JOil have produced a portfolio of Jatropha breeding materials and supporting technical services. JOil has also been working on commercialization of protein rich Jatropha kernel meal and Jatropha oil through the development of a range of processing technologies to derive high value added products suitable for sectors like animal nutrition, industrial chemicals etc. JOil's high yielding varieties along with the agronomic practices and processing technologies ensure commercial viability of Jatropha projects. JOil currently has operations and commercial links in Asia, Europe and Africa and plans to use them to develop trade links between these regions. � JOil (S) Pte. Ltd. All rights reserved.